Senator John Kerry Clubbed By Hockey Stick: CONvicted Felon George Soros Warns of ‘Class Warefare’ ’Brutal’ Clampdowns, & The Rise Of Evil. George Soros warns of financial collapse and class warfare in a chilling interview with Newsweek’s John Alridge. 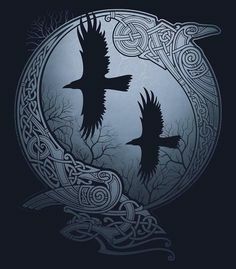 “At times like these, survival is the most important thing,” he says, peering through his owlish glasses and brushing wisps of gray hair off his forehead. He doesn’t just mean it’s time to protect your assets. He means it’s time to stave off disaster. As he sees it, the world faces one of the most dangerous periods of modern history—a period of “evil.” Europe is confronting a descent into chaos and conflict. In America he predicts riots on the streets that will lead to a brutal clampdown that will dramatically curtail civil liberties. The global economic system could even collapse altogether. NHL teams have visited the White House for years after winning the Stanley Cup, but it’s a safe bet that never before has a Senator shown up more beaten and broken than the hockey players. 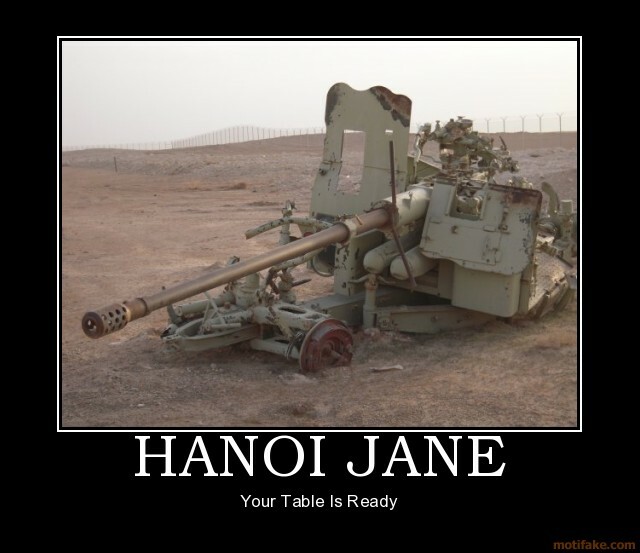 Hanoi Jane in all her Glory, sits at an Anti Aircraft Gun in Hanoi and pretends she’s shooting down America aircraft. How many American kids grew up without a father because of this “Wonderful? ?” woman. 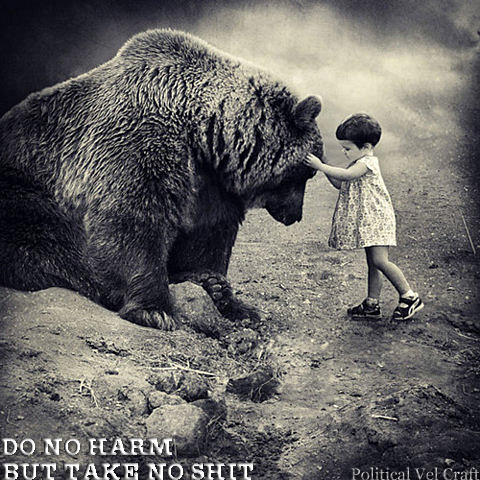 This is for all the kids born in the 70′s that do not remember this, and didn’t have to bear the burden, that our fathers, mothers, and older brothers and sisters had to bear. 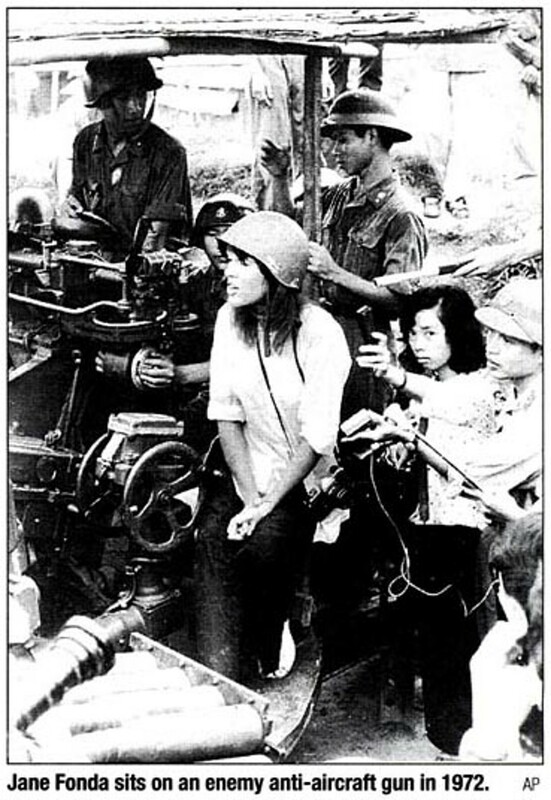 Jane Fonda is being honored as one of the “100 Women of the Century.” Unfortunately, many have forgotten and still countless others have never known how Ms. Fonda betrayed not only the idea of our country but specific men who served and sacrificed during Vietnam. The first part of this is from an F-4E pilot. The pilot’s name is Jerry Driscoll, a River Rat. In 1972, the former Commandant of the USAF Survival School was a POW in Ho Lo Prison-the “Hanoi Hilton.” Dragged from a stinking cesspit of a cell, cleaned, fed, and dressed in clean PJs, he was ordered to describe for a visiting American “Peace Activist” the “lenient and humane treatment” he’d received. He spat at Ms. Fonda, was clubbed, and dragged away. During the subsequent beating, he fell forward upon the camp Commandant’s feet, which sent that officer berserk. In ’78, the AF Col. still suffered from double vision (which permanently ended his flying days) from the Vietnamese Col.’s frenzied application of a wooden baton. From 1963-65, Col. Larry Carrigan was in the 47FW/DO (F-4Es). He spent 6 -years in the “Hilton”- the first three of which he was “missing in action”. His wife lived on faith that he was still alive. His group, too, got the cleaned, fed, clothed routine in preparation for a “peace delegation” visit. …………………. I was a civilian economic development advisor in Vietnam, and was captured by the North Vietnamese communists in South Vietnam in 1968, and held for over 5 years. I spent 27 months in solitary confinement, one year in a cage in Cambodia, and one year in a “black box” in Hanoi. My North Vietnamese captors deliberately poisoned and murdered a female missionary, a nurse in a leprosarium in Ban me Thuot, South Vietnam, whom I buried in the jungle near the Cambodian border. 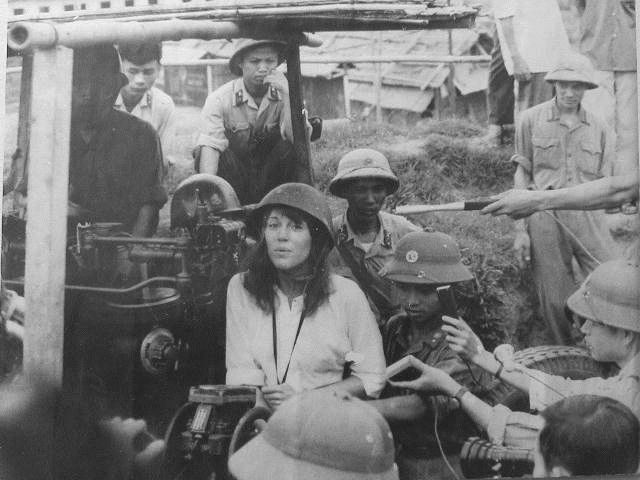 When Jane Fonda was in Hanoi, I was asked by the camp communist political officer if I would be willing to meet with Jane Fonda. I said yes, for I would like to tell her about the real treatment we POWs received different from the treatment purported by the North Vietnamese, and parroted by Jane Fonda, as “humane and lenient.” Because of this, I spent three days on a rocky floor on my knees with outstretched arms with a large amount of steel placed on my hands, and beaten with a bamboo cane till my arms dipped. This does not exemplify someone who should be honored as part of “100 Years of Great Women.” Lest we forget…”100 years of great women” should never include a traitor whose hands are covered with the blood of so many patriots. 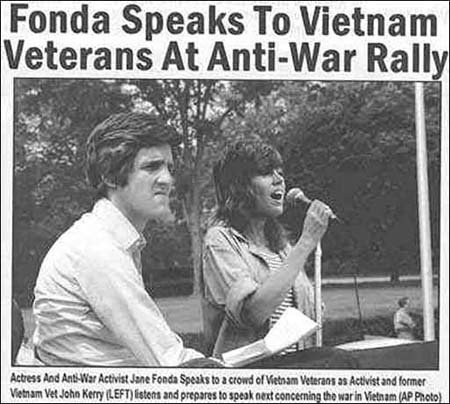 There are few things I have strong visceral reactions to, but Hanoi Jane’s participation in blatant treason, is one of them. Please take the time to forward to as many people as you possibly can. She needs to know that we will never forget. ← Breaking => Arizona Puts The Hammer Down On Darrel Issa & Senator Grassley: Arizona Moves To Prosecute Those Responsible For The Fast & Furious Scheme!